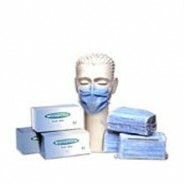 Ultraguard Mask Ear Loop 3 Ply Blue "Latex Free" 50/Bag 10 Bag/Case. Ultraguard Mask Ear Loop 3 Ply Yellow "Latex Free" 50/Bag 10 Bag/Case. Ultraguard Mask Ear Loop 3 Ply Blue "Latex Free" 50/Box 10 Boxes/Case. 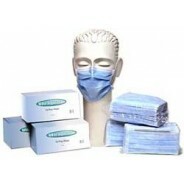 Ultraguard Mask Ear Loop With Shield, Blue 3 Ply "Latex Free" 25/Box. 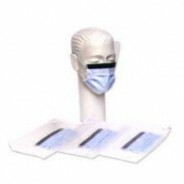 Ultraguard Mask Ear Loop With Shield, White 3 Ply "Latex Free" 25/Box. Ultraguard Mask Ear Loop 3 Ply Pink "Latex Free" 50/Box 10 Boxes/Case. Ultraguard Mask Ear Loop 3 Ply White "Latex Free" 50/Box 10 Boxes/Case. Ultraguard Mask Ear Loop 3 Ply Yellow "Latex Free" 50/Box 10 Boxes/Case.